Cruise Control Limo has been voted Best Wedding Limo company on Long Island, year after year. We’ve received this honor and distinction from multiple websites. This is something we take with great pride as ensuring your special day is as fabulous as possible. Thank you so much for providing us with such an awesome experience on our wedding day. The trolly was a major success as everyone loved it. The Rolls Royce was great to ride in, and the chauffeur, all of them, were terrific people. We will highly recommend your company to anyone we know that is planning a wedding. We wish you continued success. Let Cruise Control Transportation help you celebrate your big day! 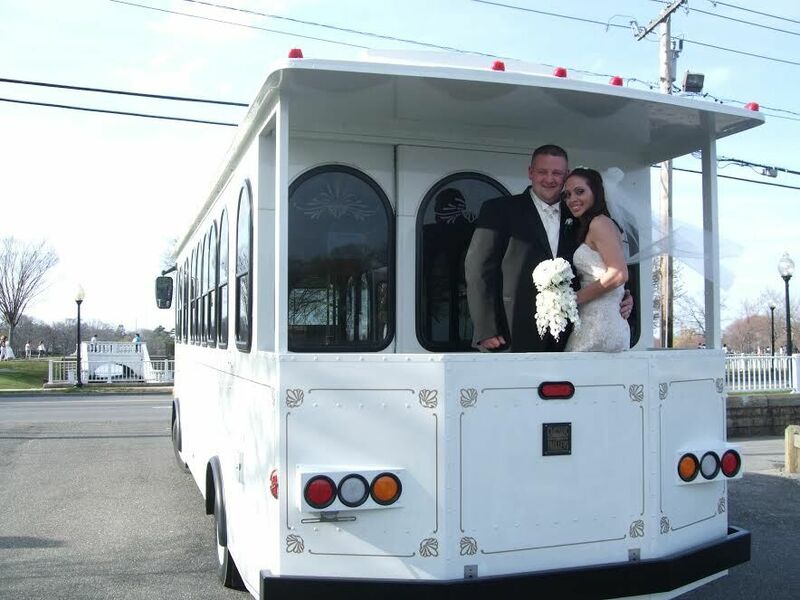 We offer an entire fleet of white wedding specific vehicles, including two white wedding Trolley’s to help make your wedding day unforgettable. Contact us today for more information. Cruise Control Limousines offers both group and private Wine Tours to vineyards from around the state of New York. 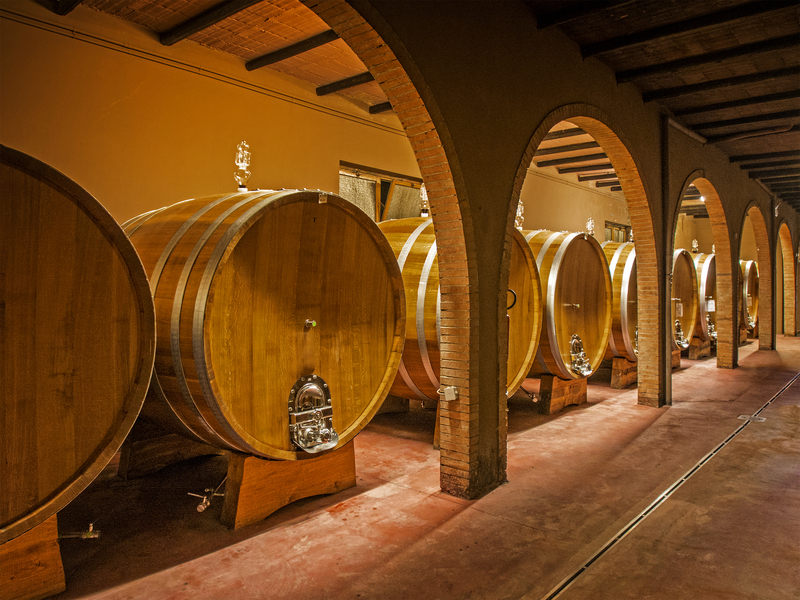 We also both group and private tours depending on which vineyard(s) you plan to visit. Call us today to find out more about our wine tour packages. Take time out of the busy holiday season to enjoy all the wonderful Christmas lights featured around different parts of New York. Let Cruise Control Limousine take care of all the logistics associated with your next holiday light tour. 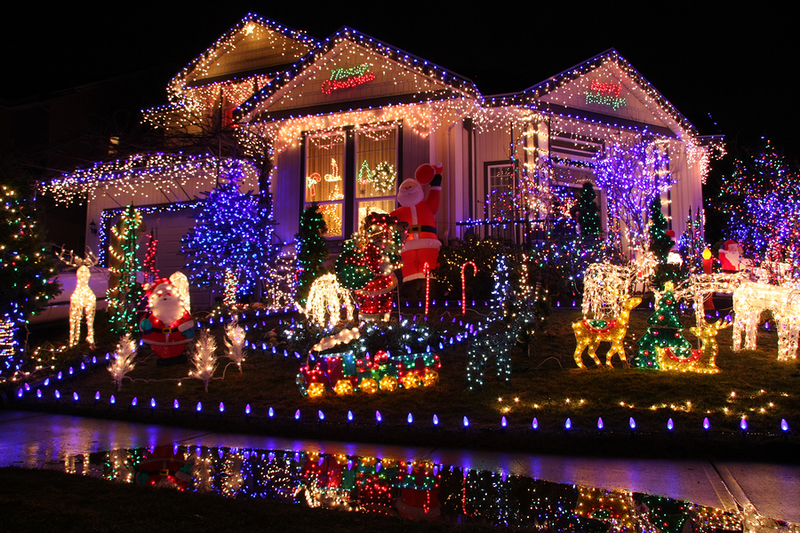 Call us today to find out how Cruise Control can help you and your group plan an exciting holiday light tour. 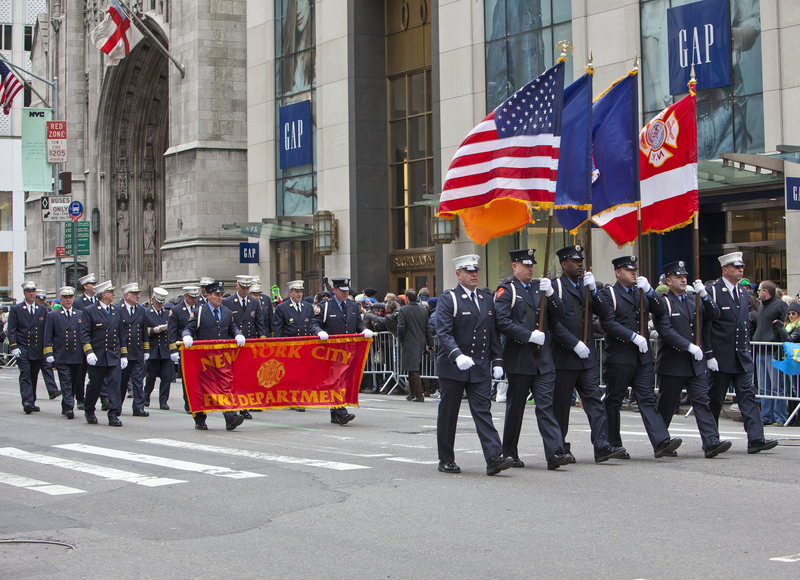 The next time your school or group is scheduled to participate in a parade, let Cruise Control provide you will all your transportation needs. Our Trolley’s can fit up to 26 people the next time you march in front of thousands who are lined up to celebrate with your group or team. Call us today to find out how we can make your special day even better. We can’t thank you enough! 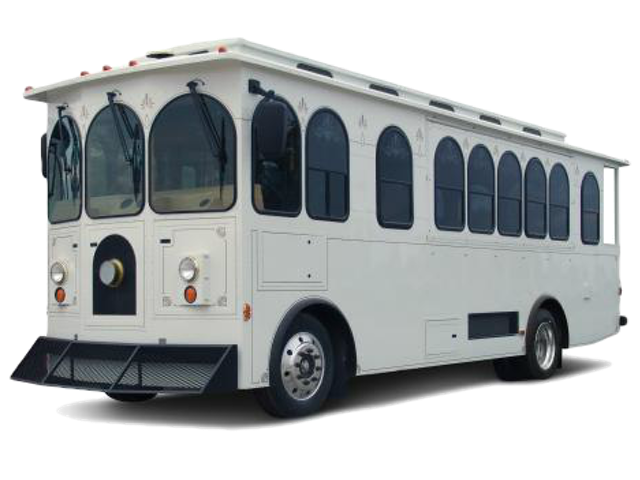 With the help of your staff, we were able to book the greatest wedding day transportation eve! My husband was insisting on a Trolley (being we got married 2/7, I was hesitant saying its only a Summer thing). We ended up with the Trolley & I could not have been happier! Trolleys are great for Winter too! What type of events can I reserve one of the Trolleys for? We specialize in City light tours, wine tours, corporate outings, holiday parties, parades, fundraisers and much more. If you have an idea that involves a trolley, we can accommodate. What is the minimum amount of time the trolleys can be booked? There is a 5 hour minimum on any kind of special event. I have have an extremely large group attending an event. What is the maximum capacity of the trolley? Each trolley holds up to 26 Passengers. If the need should arise for more capacity, We can arrange our second trolley to double the capacity. Thank you for providing us with beautiful wedding day transportation and excellent service! 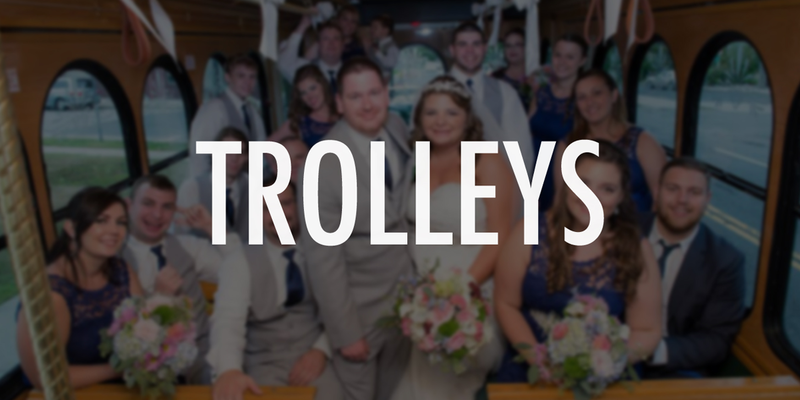 Our bridal party loved the white trolley. Thank you for making our wedding day so special. To Margaret and the great drivers at Cruise Control, thank you so much for getting us and from Westbury Manor in style and in a timely manner. All of the drivers were wonderful and a pleasure to work with. To top it all off, we absolutely loved riding in and taking pictures with the white trolley. It was awesome! Thank you all for helping to make our wedding so memorable.